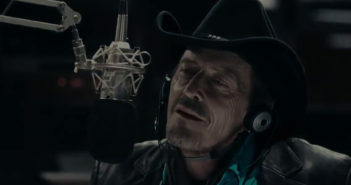 The Edge tackles the groupthink virus horror film, Pontypool! We dive into the Japanese genre of comic book, er, manga movies with Bloody Chainsaw Girl. 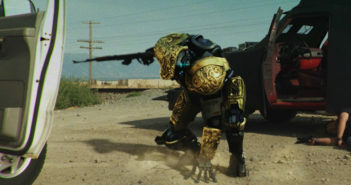 Chappie, Escape from L.A., and Danny Trejo collide in Cartel 2045. 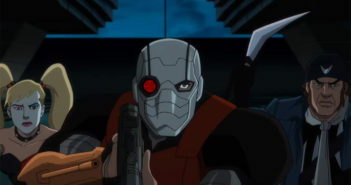 We delve into the animated DCMU to see how Suicide Squad: Hell to Pay stacks up against Assault on Arkham and the live-action film. 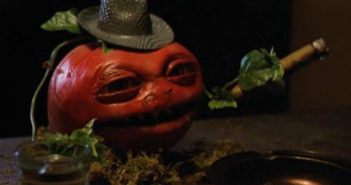 Reviews from the Edge: Killer Tomatoes Strike Back! We continue our breakdown of the farcical creature feature franchise involving tomatoes with Killer Tomatoes Strike Back! We delve into the Roger Corman-produced horror comedy spoof, Transylvania Twist. 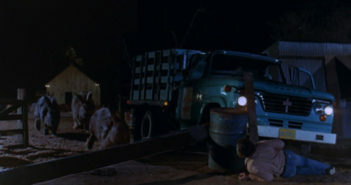 We celebrate the Easter season the only way we know how: with the ridiculous creature feature, Night of the Lepus!